Kevin Kouzmanoff has been gone from the Padres for about four months. I haven’t really dedicated an entry to him at all since the season started, so I’d like to update you all on how he’s been doing over with the A’s. First of all, I really miss him. I think I would probably miss him even more if my Padres weren’t doing so well. I mean, if we were down in the cellar, I would be a lot more upset. So far, the Padres have been playing so well that I haven’t really had time to think about my baby. But I still miss him like crazy. On Friday, I’m going to my first game of the year, which also marks my first Padres game since Kouz got traded. It’s going to be very sad not to have him there. I LOVE going to games, but I was always extra excited about it because I would get to see Kouz. It’s going to be very sad without him there. Kouz has been doing very well with Oakland. I’m just really glad that he didn’t leave and then completely bomb like some other people who left San Diego did (*cough Trevor and Jake cough*). Right now he’s hitting .265 with three home runs and 21 RBIs. But on the defensive side, he already has four errors. Last year he had three total. I think he’s really provided a lot to Oakland, and for that I’m thankful. I think I would also miss him a lot more if Chase was a total bust at third for us. But as it is, he’s been pretty decent, and I’m thankful for that too. I do miss him a lot though. It’s so sad that he had to leave. 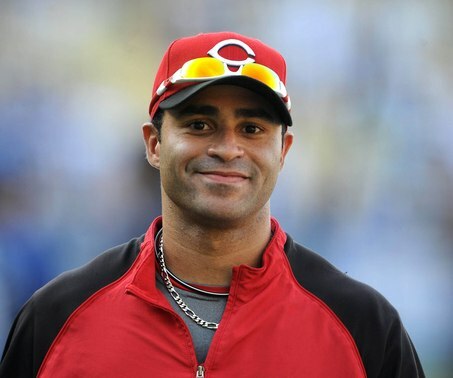 But no matter what, this dude will always be my number one favorite baseball player. I’m going to be out there on Friday night with my special Kouzmanoff jersey, and maybe I’ll even break out a picture of Kouz to put on my sleeve. I know that it’s going to be a special night. Since we’re playing against the Nationals, I’m really hoping that we’ll get a big win. The Nationals actually aren’t doing too bad this season, but still. But first, we’ve got the Cardinals to deal with. I think this is going to be a huge series. By the way, I’m really really glad that we were able to come back and win the series over the weekend over the Mariners. We like NEVER win a series against the Mariners, or any Interleague games for that matter, so I was really, really glad we were able to get that. Plus, we got our one-run first-place lead back, so we’re good. But the Cards are going to be an extremely tough team to beat. I think. Looking at the records alone, we are actually very close. It’s going to be a very well-matched series, so it’ll be interesting to see who comes out on top. Hopefully, it will be my Padres! I’m so excited. It’s going to be a great week of Padres baseball. First Win Of The Season!! Our boys pulled off a great win yesterday. You know that thing I was saying about how opposing pitchers always seem to be on their game when they’re against us? Well, turns out I was wrong. Yesterday, there were two guys on the Mariners that didn’t have it together at all. Mat Latos was good in his first start of the spring. He went two innings, allowing one run on one hit with one walk and one strikeout. He was actually really sharp. So we were down 1-0 when we went into the top of the third. We got like five walks and a few hits to drive in eight runs. Yeah, eight. I was so thrilled. It was so cool to hear the boys really taking advantage of the situation and scoring some runs. That was a very fun inning to listen to. Speaking of listening, I was sooooo excited when the broadcast started. I was like, I can’t believe this is actually happening!!! Oh man. It was so great to hear that first pitch to Everth Cabrera. Anyways, we did really, really well. I was very pleased with the way we played. Gallagher, Poreda, and Italiano pitched perfectly. I think things are really coming together. Well, the Atheltics played yesterday too, and guess what? Kouz played! He had three ABs but no hits. It’s just good that he’s playing again. MISS YOU KOUZ!!! We’re playing the Mariners again in about twenty minutes. Jon Garland is going to start! So at FanFest last Saturday, Hyun Young and I were talking about our baseball crushes with jbox from Gaslamp Ball. jbox asked me who my new Padres crush would be now that Kouz is gone and gave me some suggestions. I wasn’t really sure who I wanted to make my new crush, but I’ve finally realized who they are going to be! I can’t believe I didn’t think of them before, but let me present to you, my new Padres crushes! I LOVE THESE GUYS!!!! LIKE CRAZY!!!! I guess just through chasing after them all day at FanFest, I really fell in love with them. I’ve always really liked Scotty, especially with how well he did for us, but I had Kouz then. It’s really ironic that we got Scotty for Kouz. I was so sad about losing Kouz that I couldn’t be too happy about getting Scotty in return. But now that we’ve got Jerry, I’m doing a lot better with it. Now, I’m super excited about having both the brothers here. I’ve always loved the brother combinations: the GilesBros, the GonzoBros. Neither of those worked out that great, but I’ve got a feeling that the HairBros are going to be AMAZING together. You have no idea how much more excited about this team I am now that I’ve got two guys who I’m a little more attached to than the others. Don’t get me wrong, I would still be very excited about this team even if I didn’t have the HairBros, but it just helps to keep excitement in the team. It’s still going to be an adjustment to get used to not having Kouz around, though. Every spring, padres.com interviews a bunch of players and usually put a video up every day of the interview and then players working out. For the last two years, I was super excited about watching those videos because I couldn’t wait to see Kouz out there. It was so cool to be able to see him batting and running around and get ready for the season. This year, I won’t get to do that. And that’s pretty sad. But I will be able to look for the HairBros. Argh it’s going to be weird not to have Kouz here. But you know what? I’m still his biggest fan. He’s still my all-time-forever FAVORITE player in all of baseball ever. And when I say ALL of baseball, I mean ALL of baseball: any Little League, high school, college, Major League, anything. He’s my favorite player out of ANY baseball. There’s no way he can stop being my favorite, no matter where he’s playing. So I’m still cheering for him like crazy up in Oakland. Believe me, I’m going to be following him, every game. I don’t think I’ll become a A’s fan, but I’ll sure be following their games like one! I can’t wait for a real baseball game to start!!!!! It’s been waaaay too long. So did you see that we signed Josh Barfield to a minor league contract? Crazy! That’s the guy we traded to the Indians to get Kouz in the first place! Hmm. It would be very interesting if he made the roster. So much of my fanhood is based around Kevin Kouzmanoff. It’s pretty crazy, actually. It was amazing to enjoy having a player here so much that he just made Padres baseball for me. Every day that there was a game, I was excited about the whole team, but especially about Kouz. I loved cheering for him, whether it was here in my living room or at Petco Park. Whenever the lineups were announced, I usually memorized the whole thing, but especially where Kouz was. My first memory of Kouz was watching a game on Easter 2007. I don’t remember the exact details, but he hit a walk-off single in the bottom of the tenth to win the game 2-1 for the Padres. I wasn’t sure who this dude was, but I was happy that he got the walk-off for us. This was the time when Kouz was going through a horrible slump in the beginning of his rookie season. It was awful, but he pulled out of it eventually. Anyways, I remember going outside to tell my mom about some guy named Kouzmanoff who hit a walk-off. It seems unbelievable to me that I didn’t really know who he was before that game, but I was a very young Padres fan. Now, the day I fell in love with Kevin Kouzmanoff was September 21, 2007. I was at the game with my sister and two friends for my birthday celebration. We arrived at the park early, before the gates opened. 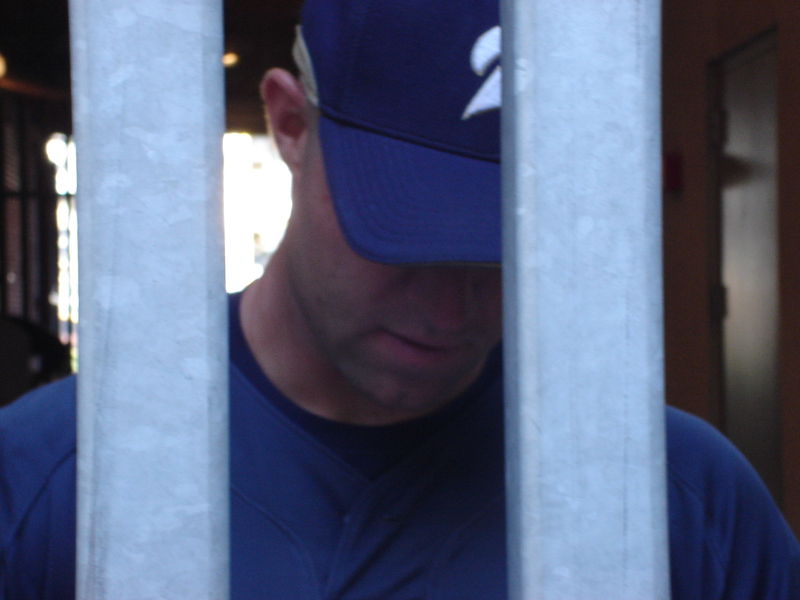 So we were kind of hanging out around the gate that’s under the Western Metal Supply building when a Padres player walked towards us from the inside of the gate. I didn’t know who he was right away, but as soon as I could see his face. I realized that it was Kevin Kouzmanoff! He rolled a ball under the gate and then stood there expectantly. We all quickly dug out paper and pens and handed them to him through the gate. We seriously didn’t say anything to him because we were so awestruck! All we could say was, “THANK YOU!! !” After he signed for us, he walked away. We were so shocked that a baseball player had actually come up to us and signed autographs…for us!!! We were the only ones in the area at that time, so he just signed for us and for this one lady who randomly walked by. It was so amazing! I was so touched by his kindness that he became my favorite player right there. During the game he did very, very well, and we cheered hard for him. It was a frustrating game in the end (we lost like 2-1 in 13 innings), but Kouz had a great game, and he gained four very grateful fans that night. The amazing thing was, I had really wanted to meet Kouz and was thinking about it in the week before we went. I think I might have even prayed about it! All I really remember is that I thought it would be really cool if I got to meet Kouz at the game, and we did! Well, we didn’t technically “meet” him since we didn’t say a word to him. After that night, I determined that someday I would meet him, as in shake his hand and tell him my name and maybe talk a while with him. It never happened. So, I still have that desire, but it will obviously have to wait for a while. 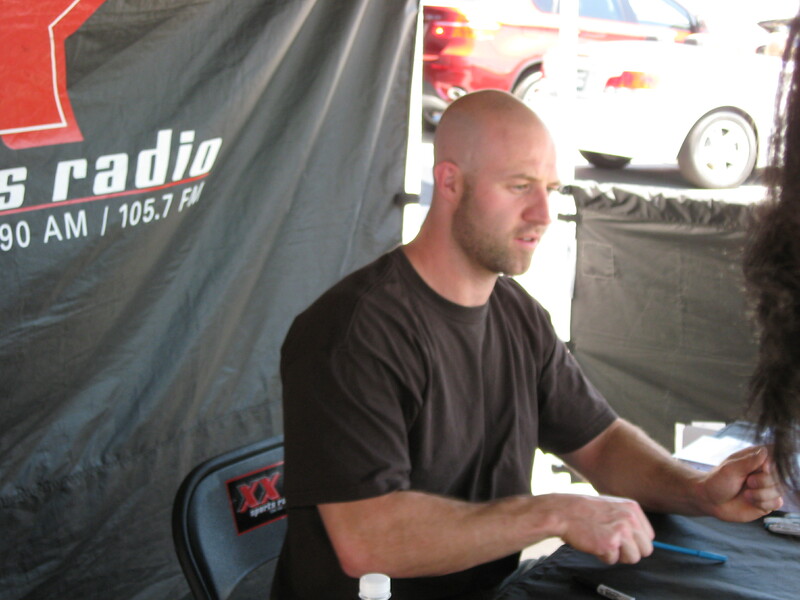 In June 2008, I discovered that a local car dealership was going to have Kevin Kouzmanoff and Tony Clark signing autographs on a Saturday morning. I was super excited, ’cause I really wanted to talk to Kouz. I’ve always had a problem talking to baseball players besides “thank you,” so I really wanted to say something more worthwhile. Earlier that week, Kouz hurt his back, and so he didn’t play all week. The night before the signing was Kevin Kouzmanoff Koozie night. I think the Padres lost, though, and of course, Kouz wasn’t playing on his big night. So going to the signing, which was probably ten minutes away from my house, I thought, well, I’ll ask him how his back is. I’m sure that everyone was going to ask him that, but hey, it’s something to talk about, right? Naturally, nothing happened. The weather that day was insane. It was like over 100 degrees, and the autograph session was outside. Thankfully, Kouz was under a canopy, but still. It was hot! When we got up to Kouz, he had all these papers with a picture of him and a place to sign. I asked him to sign it to me, which was really cool 🙂 Once he signed to me, I went and stood right next to him ’cause I wanted to get a picture with him. But first, he signed for the rest of my siblings. So it was a little awkward just standing right next to him. I was close enough to see the little hairs on his bald head. He was really nice, but really quiet. It’s strange to try to say something to someone who didn’t seem that approachable. I just love this guy. It’s really amazing to see how much a person that you hold up to a hero status affects your life. I got a pack of 2008 Padres baseball cards a couple years ago. Each one of them had a printed autograph of the player. Kouz’s was very interesting to me. His K’s were written very uniquely, and I changed the way I wrote my first name to that unique K. I still use it to this day and probably will for the rest of my life. The number five has become something really big for me. I use 5’s all the time, in everything that needs a number, essentially. I don’t believe in “lucky” numbers, but 5 is definitely my FAVORITE number all-time. If I need to make multiple copies of something, I’ll make five. If I make a username and it needs a number in it, it’ll be 5. I LOVE the number 5!!!!! Of course, I love third base and the name Kevin and any of Kouz interviews or articles about him or videos or anything. I just love this guy, and though I’m very sad that he’s no longer in San Diego, I’m so glad that I can still cheer for him just up the road. I love you, Kouz, and I miss you like crazy, but thank you so much for the fun and memories of the past three years. It’s been a blast cheering for you and I hope that you have continued success in Oakland. And who knows? Maybe your career will someday bring you back to San Diego. Thanks for everything, man. Thanks for keeping me laughing and keeping me close to Padres baseball. Thank you for giving me a reason to cheer and to be excited about Padres baseball even when things weren’t going so great. I miss you!!!! I got #20 in the 2009 Leaders list, which is so cool! To start off, I want to thank every single one of my readers. It means so much to me! Thank you so much for supporting me through everything. Without you guys, I would not have been able to get through losing Trevor Hoffman and Jake Peavy and I won’t be able to get over losing Kouz without you guys. Thank you so much!! I know I haven’t been blogging much lately, but things are definitely going to pick up with the millions of tributes I have to write for Kouz. Here’s the first of many. If you’ve been reading this blog for any amount of time, you know that Kevin Kouzmanoff is my all-time favorite baseball. He still is, and always will be. I was devastated when I found out that he got traded. The worst part of it was that the trade talks had died down completely and it actually looked like he would be hanging around here for a while. This came out of the blue. When I realized that the arbitration deadline was coming up, and that Heath Bell got a contract, I got really nervous. I’d been dying for the Padres to sign Kouz for weeks. I just wanted him safely locked up! I was on a retreat all weekend, and my best friend’s brother had to tell me the bad news. It was not good. He told me not to let it ruin my day, but it was too late. I lost my favorite baseball player, my baby. I’m grieving for him. 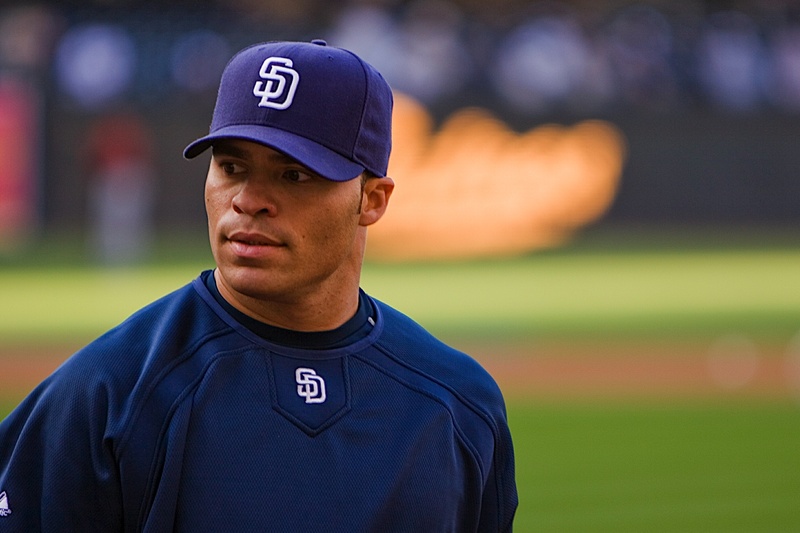 Though he is not playing for the Padres anymore, I am still Kouz’s biggest fan. 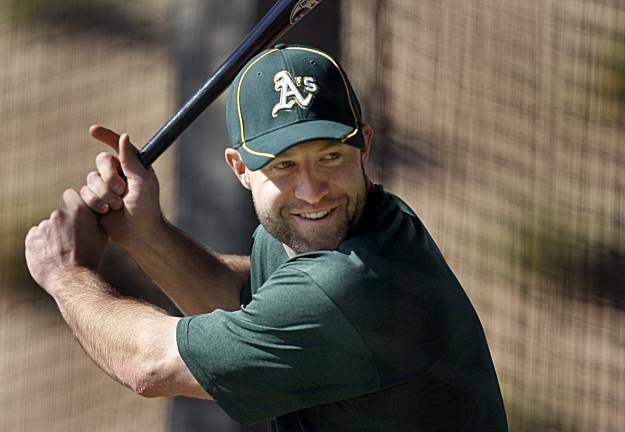 He may be wearing an A’s uniform, but he will forever be a Padre in my heart. Just because he’s with another team doesn’t mean I have to stop being a fan of his. I can’t wait to watch his new chance with Oakland. I’m going to be watching him and cheering for him as usual. It’s going to be super weird without him here in San Diego, though. A highlight for going to a Padres game for me is getting to see him, to watch him play. This year, when I go to Petco for a few games, he’s not going to be there. We won’t get to “Kooooz” when he comes up to the plate or makes an incredible defensive play. I’m going to miss him like crazy!! It’s going to be hard to cope with, but I will get over it…someday. I give you 20 things I love about my dear Kevin Kouzmanoff. 2. His passion for the game of baseball. 3. His commitment to being the best that he can be. 6. The way he dives and snags a ball that you thought was going through. 7. The way he pops up, hurling the ball all the way across the infield. 9. The way he interacts with the fans. 10. How casual he is. He’ll got to a formal occasion in a t-shirt and jeans. 11. How he goofs off on radio interviews. 12. His leadership in the clubhouse. 13. His love for San Diego and its fans. 14. How he hit a grand slam on the very first pitch he saw in the majors. 15. How he came up to four girls and gave us autographs and how I fell in love with him right there. 16. The tons of walk-offs and huge hits he’s given us over the past three years. 17. How excited he would get when a teammate got a huge walk-off. 18. The way he loves to do crazy things, like flying with the Blue Angels. 19. The way he went about his business quietly, never putting too much attention on himself. 20. The way he played Padres baseball. I know I could go on and on with this list but I’ll stop here. He’s just an amazing guy, and he is going to be very missed here in San Diego. Thank you all so much for your support. There were a bunch of questions in the comments in my Q&A entry, and I just wanted to let you guys know that I will be getting to those sometime this week. Also, I have a question about baseball statistics that will be adressed later in the week as well. Thank you so much for your interest in my opinion in these subjects! I just wanted to let you all know that I haven’t died from grief…yet. I’ve been out of town all weekend and it was really tough to find out about my baby Kevin Kouzmanoff getting traded while I was at the retreat. I know it sounds kind of weird, but I wouldn’t mind some prayer right now. As I’m sure you’ve all experienced, it’s absolutely terrible to lose a favorite player. When I’ve gotten some rest and some time I’ll be back with thousands of tributes. Thank you all so much for your support. This is simply devastating. Padres baseball will not be the same without him. Happy New Year everyone! Can you believe that it’s 2010 already? I certainly can’t. It’s unbelievable how fast the time is going by! But I’m super excited about a new year, which means a new season of Padres baseball! Let’s see, it’s been about three months since I got to listen to a Padres game. It doesn’t seem like much, but it has been a really long time! On the bright side, we have just over a month until pitchers anc catchers report. This season is going to be here before we know it! I would like to look at the team as it stands right now. I know we’ll probably make a few more moves before Opening Day, but as of right now, what does the team look like? Pitching: I think we’re definitely going to have to add at least one more veteran guy to this rotation. Right now, we’ve got Kevin Correia, Mat Latos, Wade LeBlanc, Clayton Richard, and Chris Young in contention for the rotation, among others. Oh dear, I hope so much that CY will be able to stay healthy all year. I miss him sooo much!! These are all great guys, and great pitchers as well. That said, most of them are very young. If the Padres add a veteran pitcher or two, I think we can take that as a sign that some of these guys are going to be in the minors for the first half of the season. Latos, LeBlanc, Richard, are amazing pitchers, but there’s room to grow. I think that the Padres are going to try to get some more starting pitchers before Spring Training. I think the bullpen is good to go, though. Sure, you can never have enough pitching, but we have a great group of guys out there right now: Mike Adams, Greg Burke, Mike Ekstrom, Luke Gregerson, Edward Mujica, Joe Thatcher, Ryan Webb, plus the closer, Heath Bell. I don’t think we’ll have too much of a problem with finding guys for that bullpen. Catching: Catching is one of the biggest gaps that I see on this team right now. We only have Nick Hundley and Dusty Ryan on the roster right now, both very young guys. I’m still not sure how the Padres are going to sort out this position, but my best bet would be that they sign a veteran catcher. It would make a lot of sense. So, we definitely need a little help on the catching side. Infield: I think we’re very well covered in the infield: we’ve got Adrian Gonzalez, David Eckstein, Everth Cabrera, and Kevin Kouzmanoff. All four are phenomenal defensive players, and they’re a blast the watch. You’ve got a two-time Gold Glove winner in Adrian Gonzalez. A veteran guy in Eck. A young, but excellent guy in Everth. Plus an almost-Gold-Glove winner in Kouz. I feel very safe with this infield. They’re amazing! Outfield: Like Hyun Young said, this outfield is very, very young. We’ve got Kyle Blanks, Luis Durango, Tony Gwynn, Chase Headley, and Will Venable. Kyle really impressed last year. He’s a big kid with a lot of power, and I think he’s a fixture in the outfield. Durango didn’t play much in the outfield when he was up here at the end of last year, but he can run. He caused quite the stir in San Diego after a few stunning games. If he gets on base, he’s going to get to second. Or third. I am really excited about seeing what this guy can do. T. Gwynn’s been in the majors for a while, but I think he’s going to thrive here. It’s super exciting 🙂 Chase has been in the outfield for a couple seasons, but is still pretty young. As long as he finds his bat, I think he’ll have a great season. And Will. I love Will. He’s a great kid, and an amazing outfielder. I really hope he sticks around on the roster for the whole season. We’ve got a great outfield, but very young. I think we definitely need to sign a veteran guy. Bench: I’d say that the bench is the biggest problem. Our bench has always been terrible. We’ve tried guys like Tony Clark and Cliff Floyd, but they’ve always been hurt or not that great. It’s a really tough part to play, coming off the bench late in a game all the time, but hey, it has to be done. I definitely think that we need help in this area. So, as you can see, things are looking pretty positive. I don’t think we’re 100%, but we’re getting close. A few pieces, and I really think that we can have a great winning season. That’s the biggest thing that we need to work on this season: winning. The second half of last season was great. I really, really loved being a fan of a winning team. It was so much fun! But that’s gotta carry over to this season. Padres fans are getting excited about this team. Things are changing for the good, and I just really hope that we’re not wrong in placing our trust in this team. No matter what happens, it’s going to be great to have baseball back. I miss it: the sound of a well-struck ball off the bat, long summer nights listening to Ted, Andy, and Jerry, the beauty of a ball snagged by an infielder and hurled across the infield. I miss it a lot! 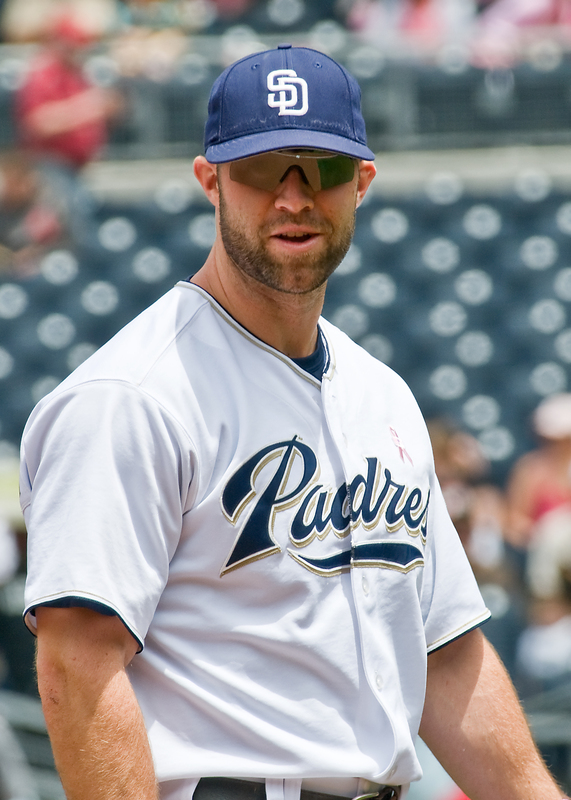 I can’t wait for 2010 Padres baseball. GO PADRES!! !